Supporting the warfighter in every domain. Command, Control, Communications, Computers, Combat Systems, Intelligence, Surveillance and Reconnaissance. Managing the job top down across all military services platforms, and domains, ensuring that every warfighter has the intelligence, situational awareness and combat-ready systems to execute diverse missions in concert or standalone, as required to be organized, trained, and equipped for every instance at any level of conflict at the Command unit or on the edge. With many years of experience in the field, ManTech is a proven and trusted partner supporting the DoD at every level of this complex process. Using scalable, open, modular, service-based architectures, we integrate archived and real-time data to deliver accurate and timely actionable intelligence throughout the Operational Chain of Command to ensure situational awareness for warfighters. State-of-the-art tools apply critical data to the planning and execution of successful missions at the political, strategic, operational, and tactical levels of conflict, whether kinetic (physical world) or non-kinetic (cyberspace). Bringing Digital to the Mission with real-time tactical reconnaissance, tracking, combat assessment and geographic data. Management and dissemination of mission orders, plus configuration and alerts. Supporting users to the end of the last tactical mile requires deployable systems which are important for warfighters with disconnected, intermittent or limited connectivity to the Command unit. 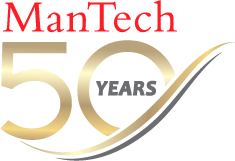 Since 1968, ManTech has helped develop, support and integrate thousands of applications for manned and unmanned platforms used by the U.S. military and those of our allies cross all five domains – land, sea, air, space and cyberspace. As platforms evolve to include robots, drones and other unmanned or autonomous vehicles, we are outfitting them with the intelligence needed to execute the mission objective.